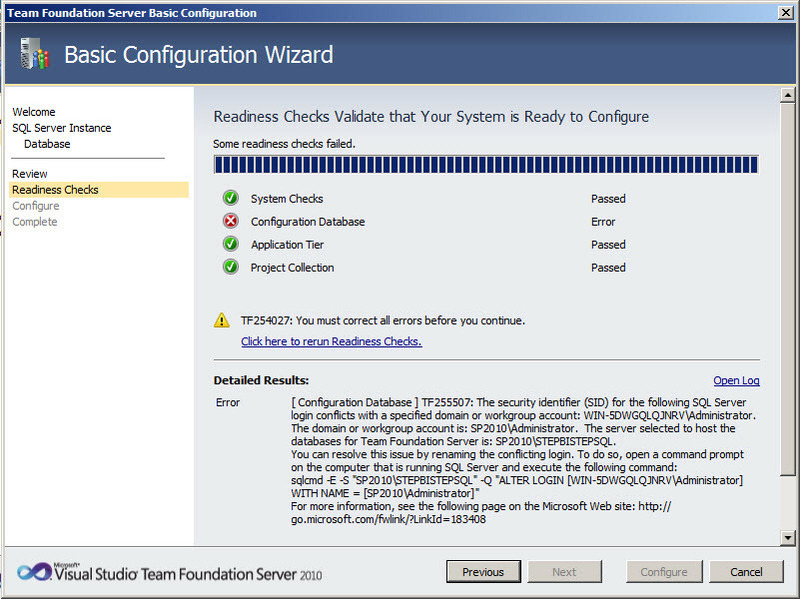 When I was configuring the TFS 2010 after completing the installation, I have got the following error message! 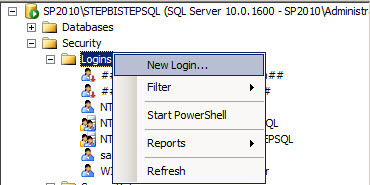 "TF255507: The security identifier (SID) for the following SQL Server login conflicts with a specified domain or workgroup account"
Basically the workgroup account I have choosen to host the TFS databases ( SP2010\STEPBISTEPSQL) is SP2010\Administrator but the original SQL server login account is WIN-5DWGQLQJNRV\Administrator so both conflicting! To solve this issue, we need to rename the conflicts login and we will see the steps below! Solution 1: Open the command prompt and type the following command and then hit Enter key! 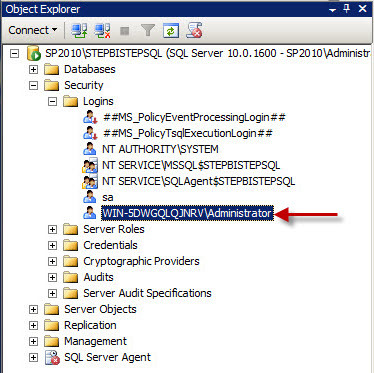 Actually this command is altering the login id with the correct account. 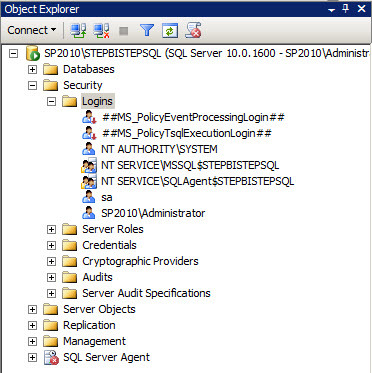 Solution 2: Add the account using the SQL server UI! 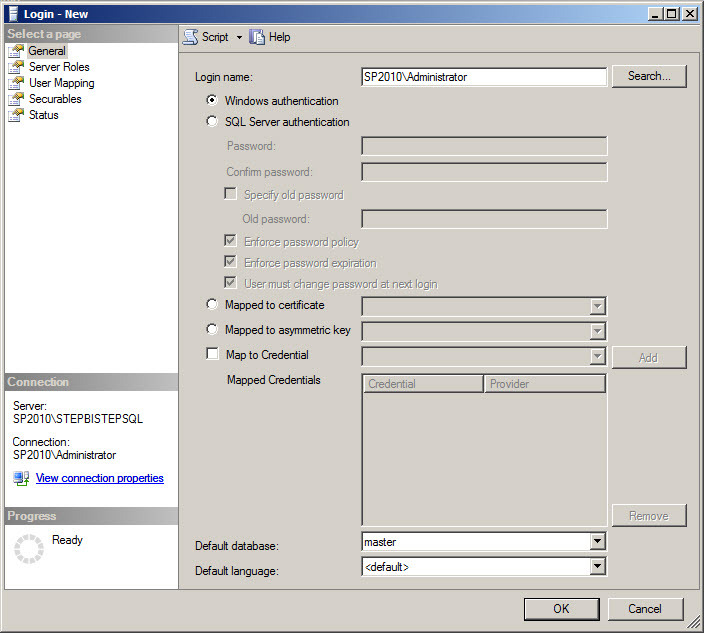 Open the SQL server and select the Security–>Logins, you could see the conflict login id, just remove this id. Right click on the logins and then select the New Login..
That’s all, we are good to go! Here is the renamed login screen!